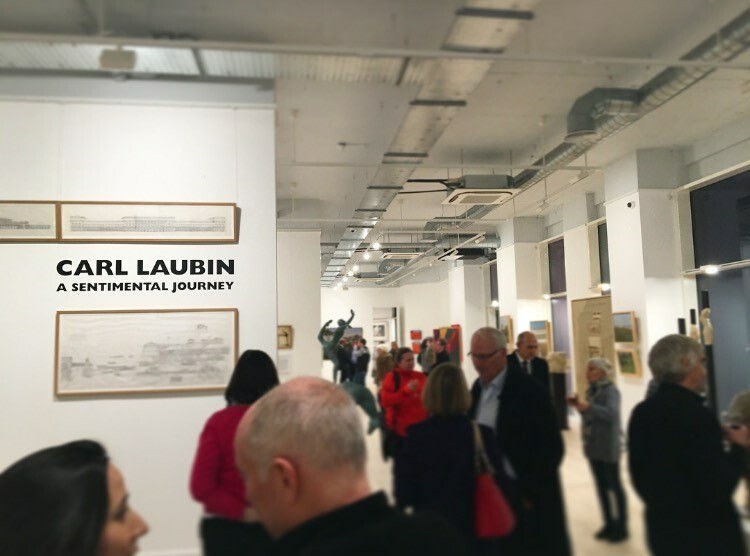 On Tuesday evening friends, colleagues, clients and artists came from far and wide to join us for the opening of Carl Laubin's solo exhibition, 'A Sentimental Journey'. The show contains 57 artworks; drawings and oil paintings dedicated to the work of architects Leo von Klenze and Le Corbusier. The evening was a great success, special guest Prof. Adrian von Buttlar launched his new guide to the built works of Leo von Klenze and gave an inspirational speech on his research and new found love for Carl Laubin's Capricci. The two met for the first time at the opening after months of email correspondence leading up to the production of the exhibition. 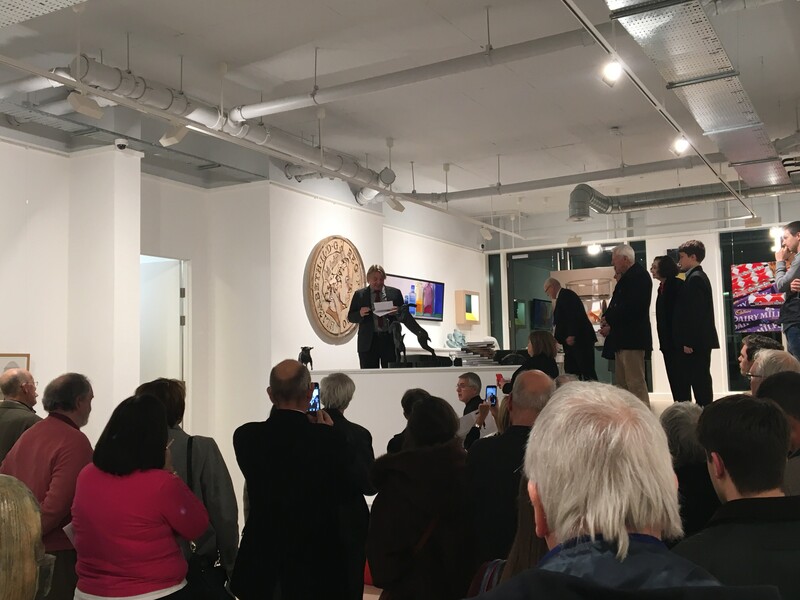 Surrounded by fantastic company and a wonderful atmosphere, the gallery buzzed with architectural enthusiasts! 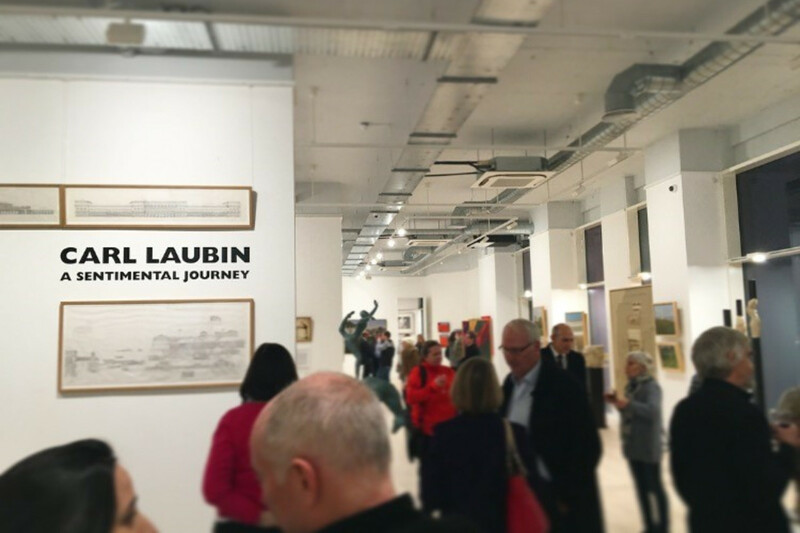 The opening unveiled many new works and was the first time Laubin had developed a series of works inspired by modernist architecture. 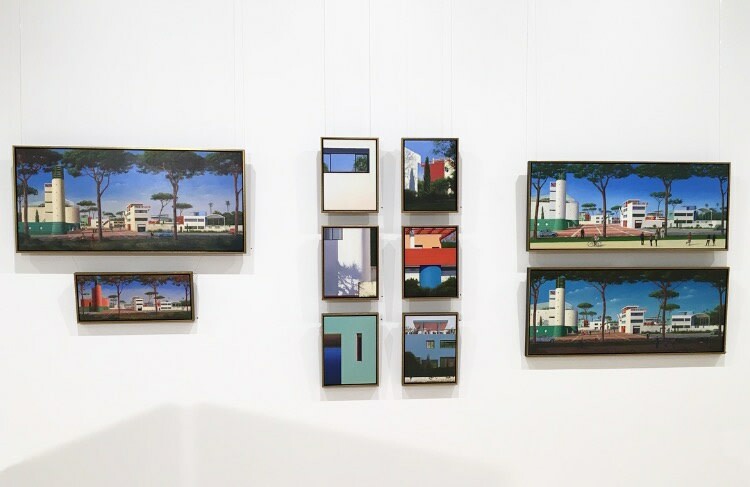 Paintings paying homage to the influentional architecture of Le Corbusier create a wonderful contrast alongside those that are more classical, inspired by Leo von Klenze, allowing a diverse dynamic never seen in his work before. The star of the show was Carl Laubin's latest Cappricio 'Klenzeana, The Architecture of Leo von Klenze'. A monumnetal painting at 140 x 240 cm it is hard not to get engrossed in the magnitued and detail of the work. The painting took three years to paint, including two trips to Munich to see the architecture of von Klenze in person and features figures just 0.5 cm tall. It is also wonderful to see how well Laubin's smaller pieces working in Plus One Gallery's large minamilist space. 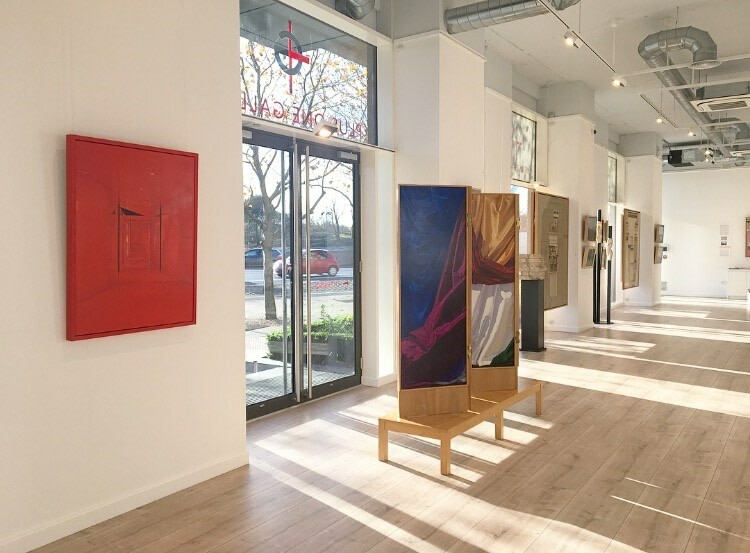 Rather than geting swamped by the space and surrounding large scale artworks the paintings hold their own and draw more attention than ever before. Laubin's current body of work is a cohesive, interesting and an excellent celebration of the beautful architecture of Le Corbusier and Leo von Klenze. 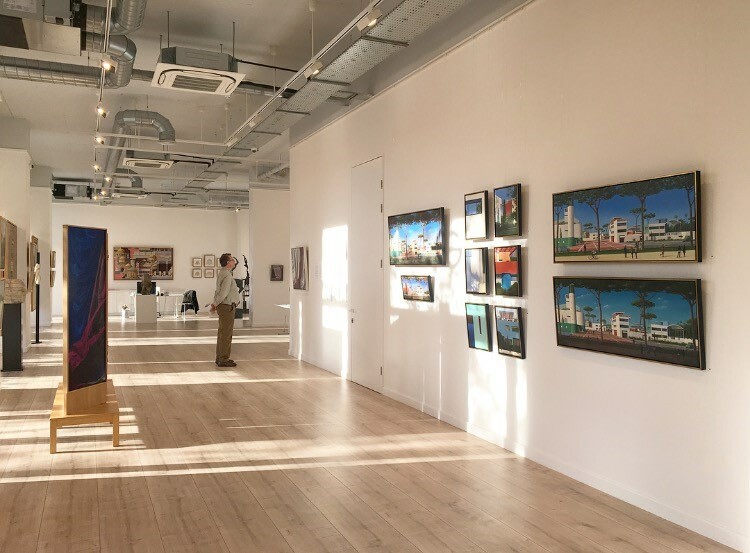 'A Sentimental Journey' is on view until the 16th December, make a visit before the Christmas holidays!